Hewlett-Packard may be giving up on making webOS devices such as the Pre 3 and Veer smartphones and TouchPad tablet, but executives at the company say committed to developing its mobile platform. HP appears convinced it can wring some value from the mobile OS it picked up after purchasing Palm last year for $1.2 billion. In a number of interviews, Stephen DeWitt, who heads up the HP division responsible for webOS, has emphasized that webOS will live on in PCs and as an embedded platform for printers and appliances. "We made the decision to focus on the platform," DeWitt recently told Engadget. "We could bring webOS to the market and expand the ecosystem...We can look at licensing; we can look at OEM and ODM-type relationships." DeWitt also told Engadget that HP has been in talks with third parties about webOS, but declined to say which companies HP was talking to. With so much speculation about the future of webOS, it's hard to know for sure what's going on. And, truth be told, it doesn't look like HP is all that certain either. Here's a quick FAQ covering what we know so far about the future of webOS. Will HP Continue to Develop WebOS? For the foreseeable future, HP says it will continue to work on and invest in webOS. Dewitt told Bloomberg that the company plans to evolve, update, and support webOS. Are WebOS Updates Coming to Current Devices? Yes, DeWitt says updates for the Veer and the TouchPad will continue, but it's unclear when that would change. Where Will WebOS Show Up Next? HP says it is still committed to developing webOS for PCs and for printers. So you may still see the mobile OS show up on HP computers in the near future. HP earlier this year said it planned to use webOS as an enhancement to Windows that would allow for synchronization between mobile webOS devices and HP PCs. The future of the company's PC business is still unclear. HP recently said it wants to get out of the consumer device business, but HP's consumer PC business will continue normal operations until it has been spun off, sold, or meets another fate. HP's webOS may also show up as a platform for devices beyond printers, phones, and tablets. “There are going to be appliances of so many different sizes and shapes in the future that are going to require a human interface for data," DeWitt told Bloomberg, suggesting future appliances could run webOS. HP is currently searching for potential webOS partners to help make its platform dreams a reality. "HP webOS is an awesome software platform and now we can explore the best hardware partner for it," Richard Kerris, HP's vice president of worldwide developer relations for webOS, recently said on Twitter. HP's hopes for a "webOS everywhere" strategy may be wishful thinking, however, as Linux and Microsoft already have a strong foothold as platforms for financial trading, motorcycles, cars, and numerous other devices. What About the HP App Catalog? HP claims it is still invested in attracting developers to create apps for webOS. "We will continue to support, innovate, and develop the webOS App Catalog. Our intent is to enhance our merchandising and presentation of your great products and to continue to build our webOS app ecosystem," Kerris said recently on the HP webOS Developer Blog. But convincing developers to invest time and money in a platform without any new devices in the pipeline won't be easy. HP may be in denial about this, but Microsoft already smells blood in the water and is circling around webOS devs who might be looking to bail on HP. Brandon Watson, Microsoft's director of developer experience for Windows Phone 7, on Twitter recently promised webOS developers--with already published apps--free development phones and other enticements to develop for Phone 7. The ploy appears to be attracting interest from a number of webOS devs. That's certainly a possibility. There have been many reports speculating that HP's patents for webOS could prove enticing to competitors such as Dell or LG. 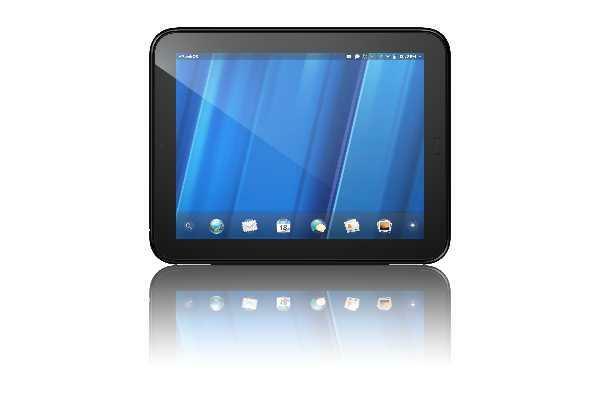 For now, however, HP is hoping to license webOS to third parties. But it's unclear whether hardware makers committed to Google's Android such as HTC or Samsung would be willing to dump their investments for a relatively unproven mobile platform. Samsung, however, is reportedly concerned about Android after Google recently announced it intends to acquire Motorola Mobility for $12.5 billion. So, maybe there's still hope for future webOS handsets. So far, HP wants to hold onto webOS and hopes to develop it further. Some may want to see webOS under an open source license, but at this point that doesn't appear likely.